A simple book about friendship and games. For playful children ages 24 months and up. Guido Van Genechten (1957, Belgium) studied drawing and painting, graphics and photography. Afterwards he worked for many years in the graphic industry. Now Guido works as a fulltime illustrator of children's books. In 1998 he won the international Illustrator's Award City of Hasselt with his picture book Ricky. This prize was the beginning of his international career as a children's book illustrator. 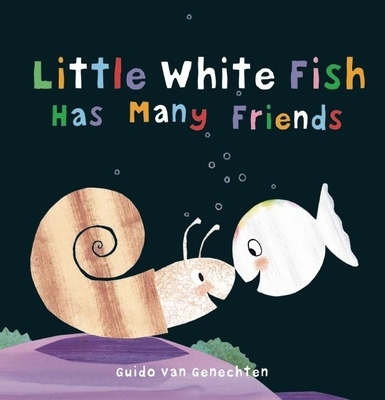 Since that moment, Guido Van Genechten has created many best-selling stories and received several awards. In 2007 he was the winner of the Reader's Digest Award for Best Children's Book Illustrator. And in the past ten years his books were published in 30 countries around the world.